Your inquisitive mind drives you to turn your weekend into an informative adventure. Visit a historically significant location to learn more about the ways and tradition of the past or engage in an educational activity to have fun and set the cogs inside your head into motion.  Gemini will find pleasure in a change of activity, but it should be just as intense as their work in terms of informational load. A great addition to your mind-expanding journey will be a companion who can keep pace with your Mercury-fast stride and eager to listen to your stories nonstop.